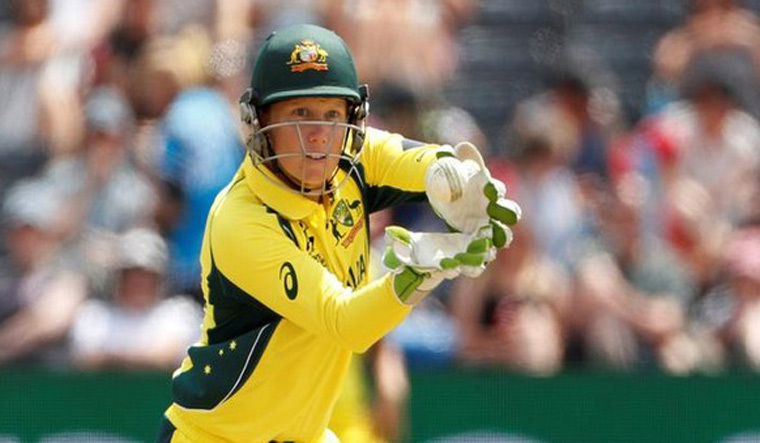 Australia women shone with the bat and ball to defeat India in the final rubber by 97 runs and whitewash the hosts 3-0 in the One-Day International (ODI) series at the Reliance Stadium in Vadodara on Sunday. Australia posted a mammoth 332-7 after opting to bat, thanks to a brilliant century from Alyssa Healy (133) on top of the order. Later, off-spinner Ashleigh Gardner (3/40) and Ellyse Perry (2/40) picked five wickets in unison to dismiss India to 235 runs in the 45th over. In the chase, Jemimah Rodrigues (42) and Smriti Mandhana (52) forged a 101 runs first-wicket partnership to take India to a dominating start before the former was sent back by Gardner. Following the dismissal, incoming batswomen Mithali Raj (21), Harmanpreet Kaur (25), Deepti Sharma (36) and Sushma Verma (30) got amongst the runs but failed to produce a match winning knock. Later, the lower order batswomen were sent back with ease by the visitors bowlers to ensure a dominating victory. Earlier, after opting to bat, Australia lost their opener Nicole Bolton (11) within the first six overs after she was caught and bowled by Ekta Bisht. However, Healy played a match winning 115 balls innings laced with 17 boundaries and two hits over the fence to keep the oppositions struggling on the backfoot. Barring Healy, batswomen Ellyse Perry (32), Rachael Haynes (43), Beth Mooney (34 not out), Ashleigh Gardner (35) played key knocks to help the scoreboard reach over 300-mark. For India, Harmanpreet Kaur (2/51) was the pick of the bowlers. Brief scores: Australia 332/7 (Alyssa Healy 133, Rachael Haynes 43; Harmanpreet Kaur 2/51) against India 235 in 44.4 overs (Jemimah Rodrigues 42, Smriti Mandhana 52; Ashleigh Gardner 3/40).